I had the opportunity to spend two days with AT&T at its Shape Tech & Entertainment Expo. Over 10,000 attendees got a glimpse into the back lots of Warner Bros. Studios and what AT&T has in store as its acquisition of Time Warner is expected to close in the fall around Labor Day. Company executives were frank during a session with analysts and the press before the event opened. Admitting that AT&T was new on the entertainment scene, much of the discussion centered around the carrier’s ability to bridge fragmented content and function as an efficient distribution engine as OTT (Over-The-Top) continues to grow. In subsequent sessions, distribution capabilities were tied back to future 5G higher data throughput and lower latency considerations. In one session, AT&T executive John Donovan referred to 5G as “magic”, because it promises to deliver a real-time network. One of many guest speakers Marco Tempest, a “technology and media illusionist”, referred to 5G as “the missing link” for building immersive environments and new services. I’ll also add that his magic tricks were amazing! In the same pre-expo session, AT&T executives also alluded to the fact that a better monetization and use case existed around AR (augmented reality) vs VR (virtual reality). However, as I walked the partner expo the developers in attendance were clearly not aligned with that sentiment. ShapeSpaceVR showcased its artwork tools utilizing spatial presence. WhirlwindVR with its Vortx non-contact haptic system was an impressive demo in-person as it simulated a gamers virtual environment with airflow and heat. Samsung demonstrated its Gear VR and Positron showed its Voyager product billed as a comfortable, fully integrated personal VR theater. The LucidCam 3D VR camera, G’Audio Lab VR headsets / audio solutions,and Otoy GPU-based software solutions were all squarely focused on VR content consumption and development. My advice to AT&T: Don’t ignore VR even considering the smashing success of the Niantic / Nintendo AR collaboration of Pokémon GO. I experienced some very cool content and technology collaboration at the Shape event. I may date myself, but remember the Choose Your Own Adventure books? CtrlMovie screened its “Late Shift” full-length feature. Using the CtrlMovie app on your smartphone, our audience was able to control the narrative as we were presented with a series of decisions. Does the protagonist stop to help a lost tourist on the Underground, kiss the girl, run or fight the bad guys? All of the audience decisions altered the course of the storyline resulting in the possibility of seven different endings. It was truly an engaging experience, and if AT&T can figure out a hook into its consumer wireless services it could create subscriber stickiness. Kathryn Bigelow, Oscar winner and acclaimed director of Hurt Locker and Zero Dark Thirty shared her VR documentary The Protectors. It chronicles the story of rangers assigned to protect elephants in Garamba National Park in the Democratic Republic of Congo. By allowing viewers to “walk in the ranger’s shoes”, it brings attention and fosters empathy to their cause furthering widespread awareness of the possible extinction of these beautiful creatures. That moves cinema from amusement to a catalyst that can change our world. 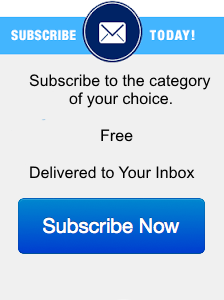 Powerful when one thinks about how widely that content can be shared and consumed on mobile devices and networks. 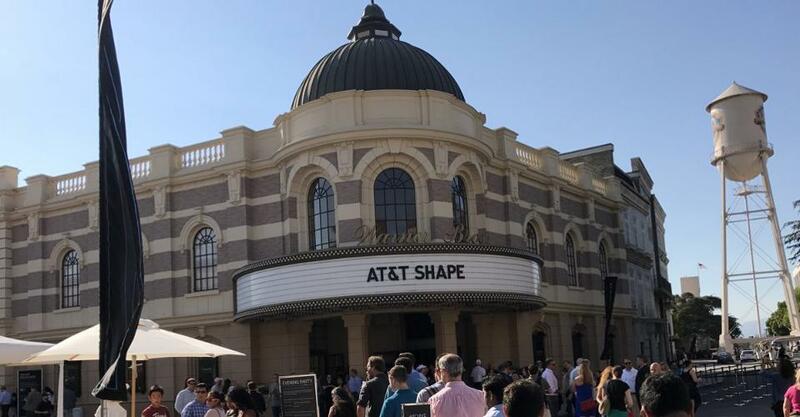 I was very impressed with AT&T’s grasp of the intersection between technology and entertainment at Shape. Time Warner brings a multitude of rich content into the fold such as DC Comics (and Wonder Woman), movies, television and video gaming. AT&T brings massive scale in wireless connectivity as well as a platform for incubating developers and introducing technology into Hollywood which was deemed as “old school” by actress Kate Hudson in another session. The two camps came together impressively over the two-day conference as a preamble to the AT&T and Time Warner acquisition close. However, there could be bumps in the road, especially if AT&T gets too involved in the Time Warner creative process. Another concern I have is around AT&Ts ability to scale its wireless infrastructure with an ever-growing emphasis on promoting unlimited wireless data plans. All the innovative content I witnessed at Shape would be wasted if those network pipes get clogged.